this meal at gott’s has been taking over our lives here in st. helena!! ahi poke tacos with avocado accompanied by a glass of lorenza rosé! its crazy crazy good. melinda can barely eat anything else! we’ve always loved gott’s and are so happy they are pouring lorenza! 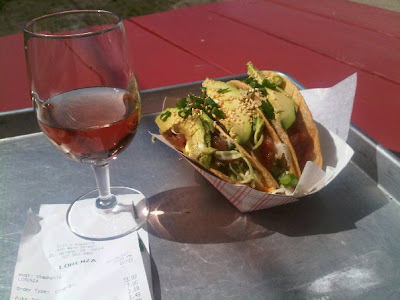 check out gott’s roadside in st. helena, napa, and san francisco!